Joel Swisher, PhD, PE, is Director of Technical Services and CTO for Camco International, a Senior Fellow with Rocky Mountain Institute (RMI) and Consulting Professor in Civil and Environmental Engineering at Stanford University. Dr. Swisher created the concept of “The Smart Garage”, which explores the economic and environmental advantages of connecting the power grid to the vehicle fleet. This he did during his work at RMI (2001-2008) where he was managing director of research and consulting, working with clients like the city of San Francisco, electric utilities and major corporations in mining, oil and gas. 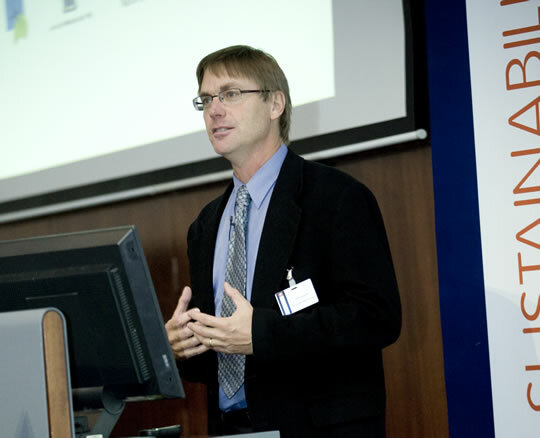 Dr. Swisher is a pioneer in carbon offsetting and has worked on sustainable energy planning for developing countries at the United Nations Environment Programme (UNEP). Joel has a PhD in energy and environmental engineering from Stanford University, is the author of more than 100 professional publications and co-author of Small is Profitable, the definitive text on the economics of distributed energy and Economist book of the year.